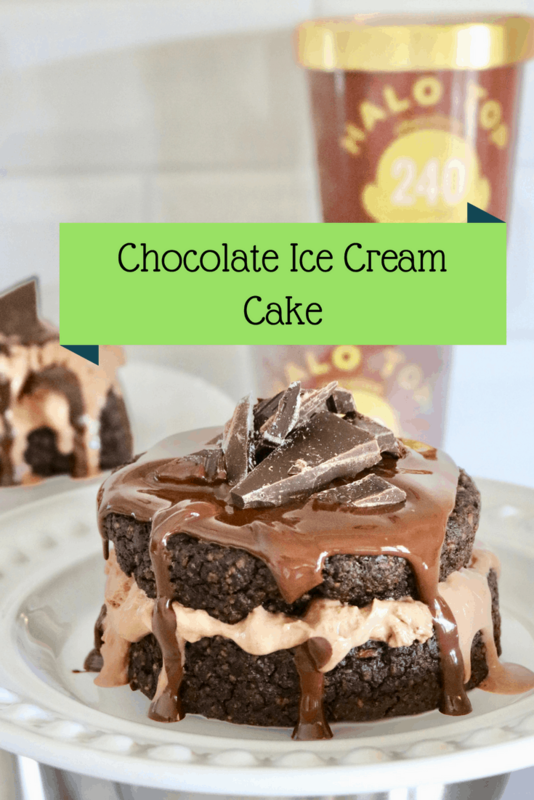 Chocolate Ice Cream Cake - Halo Top NEW Recipe Creation! 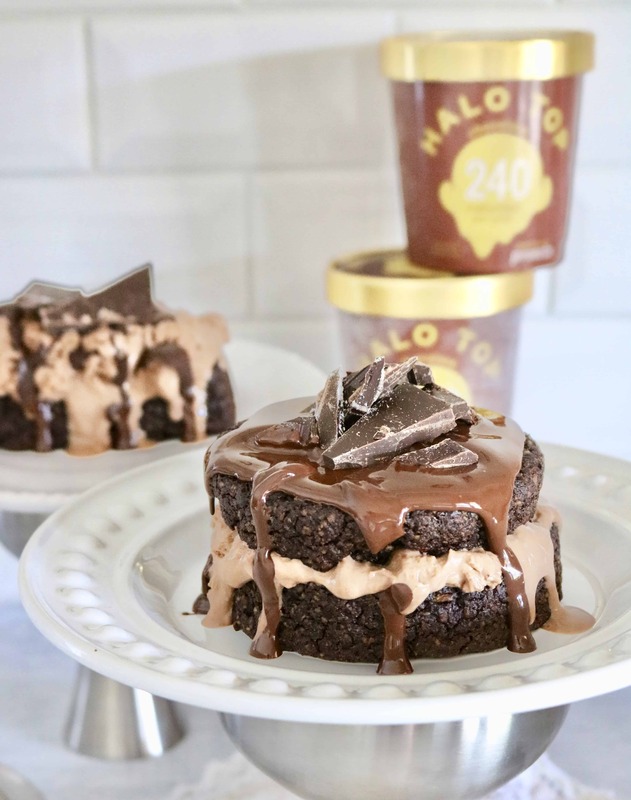 Disclosure: This recipe was created in collaboration with Halo Top Creamery! Thanks so much for supporting the brands that make my job possible! 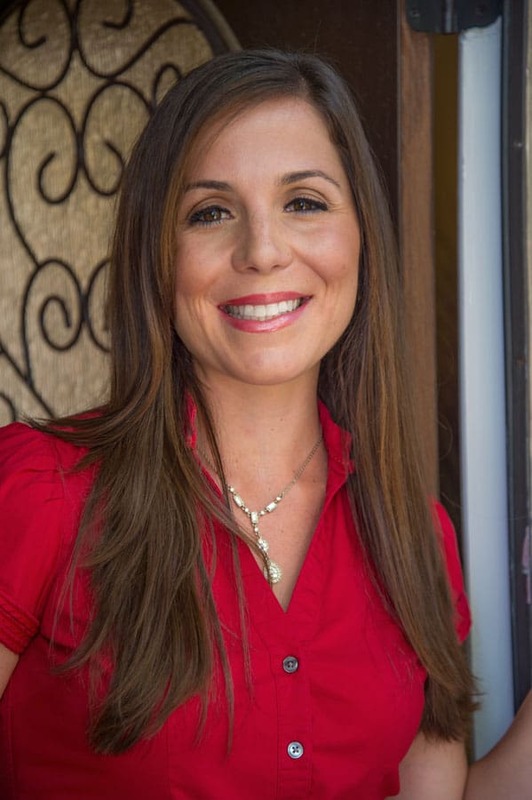 Is there a new way to “get your green on” without the spinach and kale smoothie? Enter: Chocolate Ice Cream Cake with a Secret Ingredient! This beauty is seriously one of the best, easiest and most delicious recipes I’ve ever created! 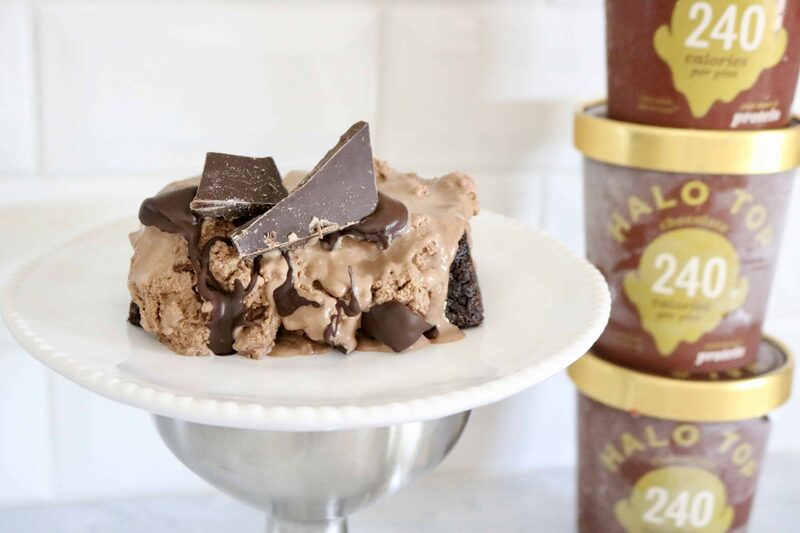 It’s filled with a subtly sweet but rich cocoa powder, the wonderful creamy flavor of Halo Top Ice Cream and a nutty, thick but super moist chocolate cake! Jonsing to find out what that secret ingredient is? Head on over to my pals at Halo Top here to find out! Such a teaser! Of course I have to head over there now! This looks beyond yummy! Oh man, that chocolate drizzle! Can’t wait to find out what the secret ingredient is. Staring at my computer and drooling over this yummy ice cream pie!!!!!! I love you love Halo Top too! Made me smile!